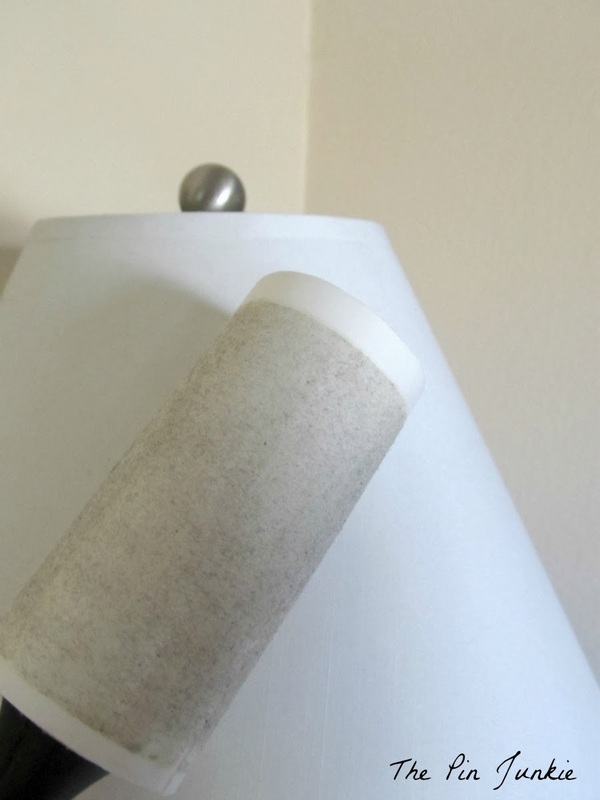 Here's a quick and easy way to clean a dusty lamp shade. This is what my lamps looked like before I cleaned them. Can you see the little bits of dust and fuzz? and roll it over the lamp shade a few times. I couldn't believe how much dirt and dust came off! I didn't think the lamp was that dirty! and now looks as good as new! Much better, don't you think? these tips on how to clean just about anything! I use this too!!!! Reminds me I need to clean up mine again! Hi, I'm stopping by from Link Party Tuesday at A to Z Celebrations. 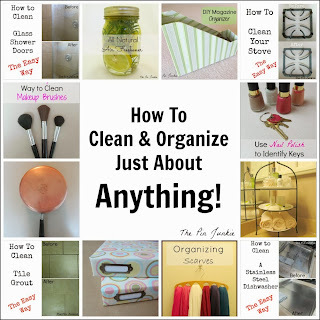 I hate cleaning and I'm always looking for easier methods and shortcuts and I love this! Thanks so much for sharing, I'm pinning this. Found you on kathewithane and I agree and have used this method many times. Um, wow, I feel really silly that I never thought of doing this! I hate dusty lamp shades and vacuuming them is such a pain! Thanks for sharing at Share Your Stuff Tuesdays! This is awesome! Pinned it! Thanks for sharing at Wonderful Wednesday! Oh my goodness I link roller. HOW PERFECT IS THAT! I am going to try it. 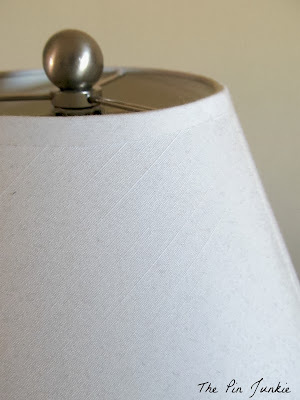 Now, got any tips for cleaning lampshades that are pleated? Thanks for linking on Wonderful Wednesday Blog Hop ... you are number ONE this week! Awesome. I don't have pleated lampshades, so I don't know if this would work, but I would try using a vacuum cleaner with a cleaning attachment. I put a sticky link roller on my shopping list. Thanks for stopping by and linking up at Saturday Dishes. Ha, what a great idea! I have lampshades that need to be dusted and when I try to wipe them down they look worse. I have a sticky lint roller too. Guess what I'll be doing. Thanks so much for the idea! Popping in from You're gonna love it Tuesday. Thanks for the tip. I was just looking at my lamps today thinking they need to be cleaned. I totally need to do this....I don't even want to know how much dirt there is on my lamp shades:( Thanks for linking up with the Bloggers Brags Pinterest Party. I have pinned your post to the Bloggers Brags Pinterest Board! 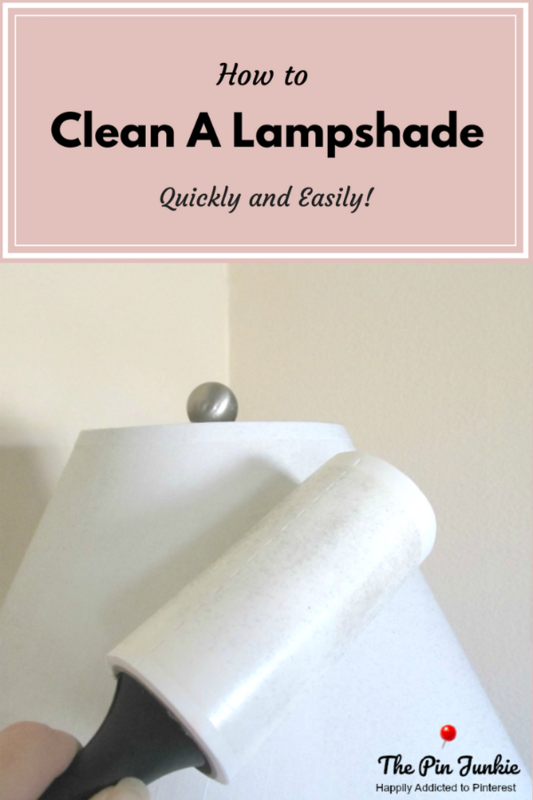 Such a simple way to clean a lampshade. I have a few around the house that needs this, the layer of dust is so thick. This is a great idea. I hate when they get dirty. I am going to work on my lampshades today. So obvious and yet, never thought of it. Found you via Thursday Favorites Blog Hop. I enjoy your website and look forward to linking up at your party next week. So far...you have brought me information each week that I can really use!! Thanks so much! And thanks for participating in our blog hop...have a wonderful weekend. This is such an awesome idea. I'm pretty sure I've used a slightly damp cloth in the past but it never really worked well. Thanks for the idea! Great tip! My lampshades are far dirtier than yours so I'll have to try this sometime! We use those sticky rollers for everything! Well almost everything...never thought to use it on a lampshade! Whoever came up with the sticky roller idea is a genius!! Visiting from LOBS! Thanks for linking up with us! What a great tip! Really made a big difference. Thanks for sharing with SYC. 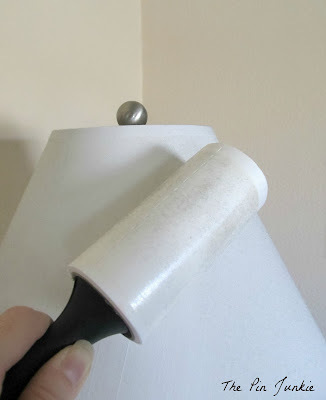 Never thought of using a lint roller! Great idea! Thanks for the invitation Alison! 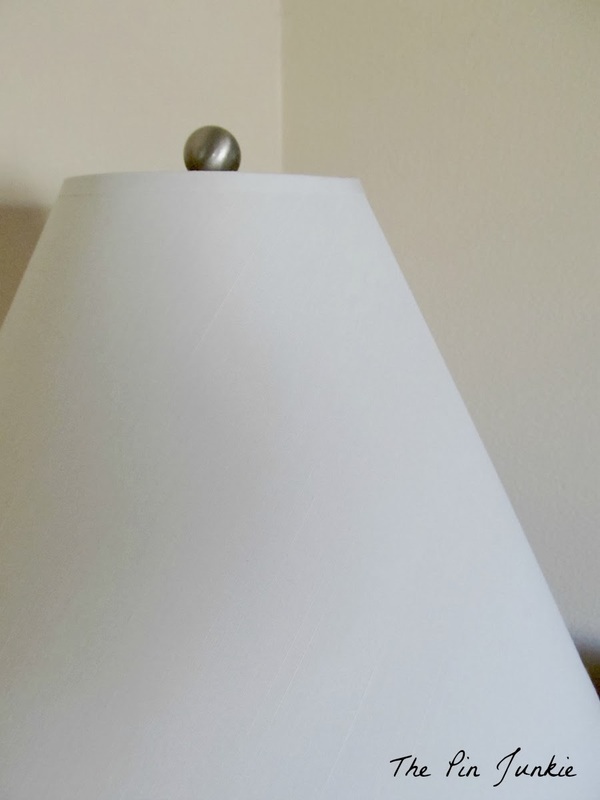 We have 2 long haired cats and this is the only way I have found that works to clean the dust and cat hair off lamp shades! I also lint roll my curtains (because it is soo much easier than taking them down and actually putting them through the washer!). Gotta love easy cleaning tips! Found you on the #LOBS and following you on Google+. I too am addicted to Pinterest and not ashamed to say a fellow pin junkie. I have a similar blog (although not as nice as yours) about my pinterventures. I love it when people actually do the things they pin! Glad to meet you fellow pin junkie! Great tip! Thank you for linking up to the Hit Me With Your Best Shot Link Party Last week. Hope to see you and your Awesome ideas tonight at 7 EST! Great tip! I have a really dusty one in my bathroom I can't ever get all the way clean! :) Thanks for linking up for Life Created Tuesdays! Great tip! I usually have the kids vacuum them off during their weekly chores, but I'll have them give the roller a try next week! So simple! I, too, vacuum, them, but that is a bother. I am always concerned I'll break the shade, the lamp or both when I do it. Thanks! Thanks for linking up to Tickled Pink Times Two. I am excited to featuring this amazing tip tomorrow night at our party. Can't wait to see you there!! Thanks for the feature Marti! I appreciate it! I'll try the Lint Brush for the Lamp Shade.....but I've always washed them by hand in the sink with Dish Liquid and put them outdoors in the sun to dry (in the summer). They've all come out beautiful! Even the WHITE ones! Aren't lint rollers great?!?! I have cats, so they get used quite a bit!! !